The idea is to safley load as many items into as little a space as possible - this is known as "packing your unit". 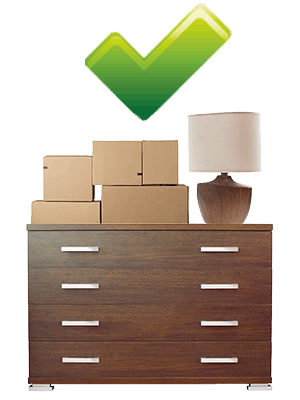 Professional removal men when loading a storage room firstly look for what is termed a "builder" (like a chest of drawers or washing machine) this acts as a base for other items to be loaded on top. Then place boxes or light furniture on top until such time as they have a wall space filled from ground to roof, then start another line and so on. 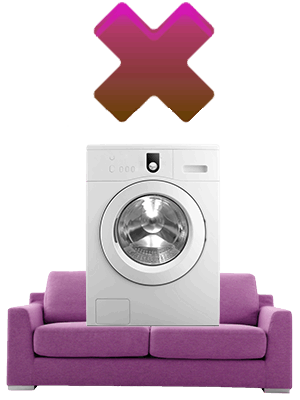 Heavy items such as washing machines, pianos, wardrobes, chest of drawers, etc. are known as builders because of there heavy weight. Where ever possible they should be placed at ground level as the weight may crush any item below. Light items such as lightweight boxes, bags, golf bags, light furniture, etc. are known as fillers and can be placed on top of builders. For example, you should not place a heavy box of books above a box of china or a heavy washing machine or piano on top of a sofa. Forbidden goods are generally livestock, toxic goods, flammables, explosives, food items, plants and perishables. If in doubt ask the company. Do I need identification to take up a self storage unit agreement? Yes, you will need at least 2 forms of ID. One of which must be a driving license or passport and the other a proof of address. Do storage companies uplift my goods I wish to store? Generally not, though they may have an associate remover they can recommend. Do storage companies provide insurance whilst in storage? Any insurance will be for fire, flood and theft only, they will not insure for damage or breakage. Do I have to give a long period of notice of termination of my storage room? Generally not. One of the main benefits of self storage is to provide quick, straight forward access and vacation of your storage room. Though you will probably have to pay for the rest of the month, if the period of storage is less than a complete month, after which they will refund the unused part of any month.